<b>MOVIE MAGIC:</b> Producer EriK Lohr (left) smiles with his subject, Matiok's great-nephew Nyuol Tong. Andrew Schoneberger’s half-hour-long film about the plight of a divided African country opens with brief portraits of two related Sudanese men whose destinies could hardly be more different. The beautifully shot film, which will be shown for one night only, Thursday, August 15, at the Marjorie Luke Theatre, features scenes from Ayeit village: Thatched houses, open fires, and strutting animals are shown over chanted strains of “Amazing Grace.” Then there’s the voiceover: Matiok Tong Matiok, who recalls his life from the time of the first Sudanese rebellion — called “The First Mutiny” — in 1955, his 17 years in “the bush,” and the annihilation of livestock and people that internecine war visited upon his home. Schoneberger then cuts to the woodsy surroundings and paneled rooms of Duke University, where Nyuol Tong, Matiok’s great-nephew, attends college. With the glib articulation of a seasoned academic, the twenty-something student bears his own witness to his country’s ills but with the particular anguish of a family (his) sent into exile. Both seem profoundly dignified: The older man lives where foodstuffs are prepared with pounding sticks while the younger is seen buying snacks in an air-conditioned campus convenience store. Their sense of connection and grief may be equally passionate, but what’s clearly demonstrated here is the palpable advantages of education. 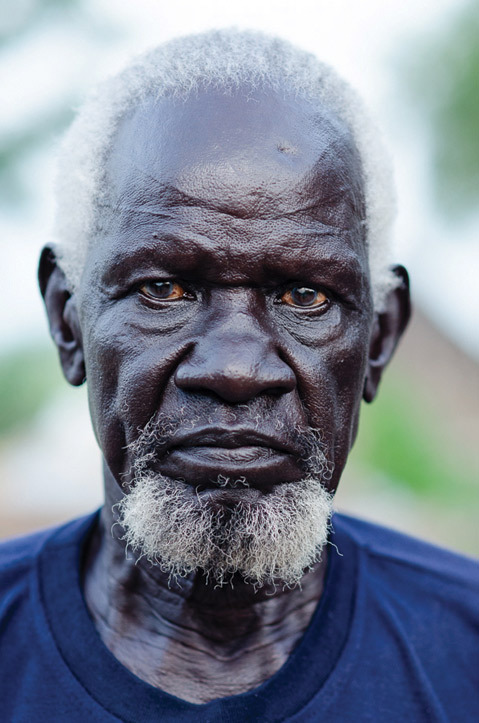 <b>THE ELDER:</b> Matiok Tong Matiok is just one of the many Sudanese men featured in the new film, <i>LääuNhom: Freedom of the Mind</i>. That’s how screen poetry works: the compression that only cinema could convey, with its powerful marshaling of sights, sounds, and narrative. “It’s an incredibly complicated place,” Schoneberger said, describing at length the country in conflict (it’s now split into North and South Sudan) and at war for decades over complex religious differences, resource issues, and the simple differences that exist between people who’ve lived in settlements since prehistory. The film captures a strong sense of the country’s majesty and heartbreak. Schoneberger, who filmed in Africa with his friend and coproducer Erik Lohr, wisely focuses the short documentary on Tong, whom he calls the “main character” of the film and whose life story is almost as complicated as Sudanese realpolitik. To boil down the complicated narrative, Tong was discovered in a displaced person’s camp and sponsored by an American couple to attend Dunn School outside Santa Ynez, where, eventually, he met Schoneberger, who worked on the school’s website. 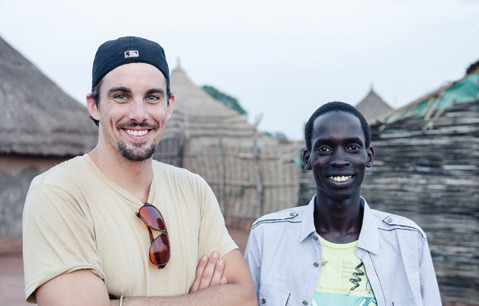 After a long conversation with the seemingly unflappable (and apparently riveting) Tong, Schoneberger expressed some interest in the young Sudanese man’s efforts to bring hope and education back to his homeland via a foundation called SELFSudan, which he began while still attending secondary school. “He told me, ‘Oh, you should come next summer. You should do that; it’d be great.’” Next thing they knew, Schoneberger and Lohr had raised $11,000 through a Kickstarter campaign and arrived in the country moments after the south and north split was made official, which made their camera even more suspect. “We burned [the money] up fast with the travel and filming,” said Schoneberger, who’s spent the last year editing footage while Lohr worked on sound design. LääuNhom: Freedom of the Mind screens at the Marjorie Luke Theatre (721 E. Cota St.) on Thursday, August 15, at 7:30 p.m. Nyuol Tong will speak and answer audience questions after the film. Call (805) 884-4087 or visit freedomofthemindmovie.com for tickets and info.